If you're looking for a small city car that will put a smile on your face every time you start its engine, then the Suzuki Swift fits the bill. 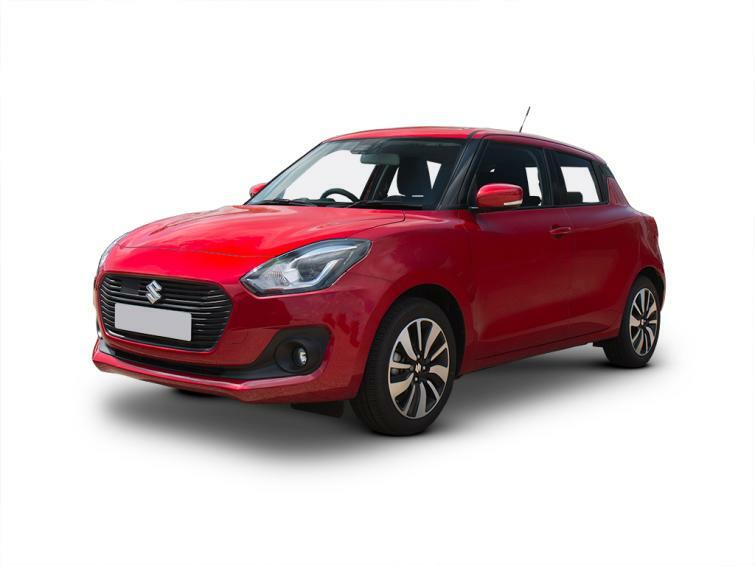 With a new-generation Suzuki Swift now in showrooms, the older model makes for something of a bargain buy, with five-year-old cars on available from £5,290 and the high-performance, more fun-to-drive Swift Sport starting at £7,689. The Swift has a lot to recommend, not least that it's light and agile, so it darts into corners, has plenty of grip that keeps the driver in control. Even the least powerful petrol engine is smooth and quick to rev, which makes the car feel zippy, despite the relatively slow 12.3sec it takes to accelerate from 0-62mph. That's not a problem with the Suzuki Swift Sport, which takes 8.7sec to hit the same speed, in order to zoom around with a puppy-like eagerness. The Swift’s charm is a major part of its appeal and this helps buyers overlook some of the downsides of the car, most of which come from its budget nature. For example, the materials are a bit low-rent in places, with plastics on the dashboards and doors that feel hard and brittle – a far cry from the likes of the Volkswagen Polo. Swift models are well equipped, though, with Bluetooth for wireless phone connectivity and air conditioning on all but the cheapest model, while mid-range cars also get sat-nav. All Swifts have an adjustable driver's seat and steering wheel, as well as seven airbags. One area that's harder to look is the Swift's limited interior space. While the car's boxy shape makes it easy to get into - whether you choose the three-door or five-door version - that doesn't translate into an interior that’s as spacious as a Vauxhall Corsa or Polo, and certainly not a Honda Jazz. The boot – at 211-litres – is one of the smallest in its class, far from the 300-litres in the Renault Clio or 330-litres offered by the Skoda Fabia. Squeezing a buggy in there is a struggle. All models have split-fold seats to boost luggage capacity and fit a passenger in the back, but they don't fold completely flat, so some bulky loads may not fit. The seats are comfortable but the interior isn’t as stylish as the clear and simple designs of the Mazda 2. The Swift was independently tested by Euro NCAP in 2010 and got a full five stars. That means it's still a safe car, but not necessarily up to the standards of newer five-star cars on the used market, such as the Honda Jazz and Skoda Fabia, as current tests are tougher than those held almost a decade ago. Because of its sporty feel, the Swift isn't as comfortable as the smoothest superminis like the Peugeot 208, but the trade-off is that it's more fun to drive. The Suzuki Swift 1.2 Dualjet SZ4 5dr has an official fuel economy figure of 65.7mpg. It emits 99g of CO2, meaning it attracts no road tax. The Suzuki Swift 1.2 Dualjet SZ4 5dr has automatic air-conditioning, a sat nav and a digital radio. Like all Swifts, it has Isofix child-seat mounts. The Suzuki Swift Sport is the quickest model in the range and the sportiest looking. It can accelerate from 0-62mph in a reasonably quick 8.6 seconds but more importantly, always feels eager. The Suzuki Swift 1.2 Dualjet 4x4 SZ4 5dr is expensive, while the extra weight dents performance and economy. Few will need the extra control of the four wheel drive system. July 2013 The Swift is updated with a new bumper, LED daytime running lights and new alloy wheels. Swift Sport models are now available with five-doors and the Swift 4x4 is launched in SZ3 and SZ4 trims. February 2014 A special edition SZ-L, based on the 1.2 SZ3, is launched in February. April 2014 Swifts built between February and March 2013 are recalled for possible brake fluid leak. October 2014 All 1.2-litre Swifts built between September and November 2013 are recalled for possible engine failure. February 2015 Another update to the Swift introduces the more efficient Dualjet engine to the range. Sat-nav becomes standard on SZ3 cars. There are three petrol engines in the Swift: two are the same size - 1.2 litres. The most efficient and expensive version is called Dualjet. The Swift Sport has a 1.6 litre engine. A diesel engine, badged DDiS was offered early in the car's life. In most Suzuki Swifts, the power from the engine is only sent to the front wheels. In the 4x4 version, it goes to all the wheels for better control on slippery surfaces. The higher the trim level, the more equipment is fitted to your Suzuki Swift. The cheapest is SZ2, it then goes up through SZ3, SZ-L and SZ4. There were four engines – three petrol and a diesel – in the Swift line-up of the course of its life. The 1.3 DDiS diesel was only available for three years of the seven years the Swift was on sale and was eventually withdrawn through lack of interest – partly because it was only available in the top highest trim levels, making it one of the most expensive models available. And as oficial fuel economy was, only marginally better than the Dualjet petrol engine, the more expensive diesel was jettisoned. The standard 1.2-litre engine is reasonably economical and inexpensive. It’s available in most of the trim levels, with either two- or four-wheel drive. Its performance doesn't provide any excitement, but neither will it leave you struggling to keep up with traffic on a motorway – although you do have to rev it hard to accelerate at higher speeds. An official fuel economy figure of 56.5mpg is fairly average for the category; you can expect that to drop closer to 45mpg in normal driving. The engine is available with a manual gearbox as well as an automatic, which makes the car feel slower and is best avoided. The more advanced 1.2-litre Dualjet engine is a better buy, although as it’s a newer, post-2015 car, it will be more expensive. Although it’s slightly less powerful than the 1.2 petrol, it sprints from 0-62mph just as quickly (12.3 seconds) and is crucially more economical, with an official mpg figure of 65.7mpg (again, that’s likely to drop by at least 10mpg in real-world driving) and carbon dioxide emissions of less than 100g per km, which makes it exempt from road tax. The 1.6-litre engine is only available in the Swift Sport. And as the name suggests, it’s not focused on fuel economy. It will accelerate from 0-62mph in 8.7 seconds, but it’s not the time that makes this a great choice, it’s the energetic, smooth and eager way that the engine delivers its power. Just the slightest touch on the accelerator is all it takes for the engine to rev with a rasp: encouraging you to drive it with enthusiasm. Choosing the right trim level with the equipment you want is important if you're buying a Suzuki Swift because, in common with most Japanese cars, there are only a limited number of options that you can specify individually. If you want cruise control, for example, you should avoid the SZ2 and SZ3 cars because it isn’t fitted to them. If you're buying a used car, check its equipment carefully, as the options included with different trim levels have changed throughout the car's life. The Suzuki Swift SZ2 is the cheapest model in the range with a fairly basic level of equipment. It's fitted with steel wheels and no Bluetooth phone connection but it does include a height-adjustable driver’s seat, electric windows, remote central locking and front foglights. The steering wheel only adjusts up or down. It also has nearly as much safety kit as the other trims including tyre pressure monitoring that will warn you if a tyre is deflating, Isofix mounts for child seats and seven airbags. This car is only available with the cheapest and engine. The SZ3 trim level adds air conditioning, 16in alloy wheels and Bluetooth for wireless phone connectivity on top of the SZ2 equipment. If you opt for an SZ4 car, there’s quite a bit of additional equipment, which could include DAB digital radio, Bluetooth, cruise control, sat-nav and a steering wheel, that adjusts for reach and rake (which means the height as well as moving closer or further from the driver’s body), keyless entry, air conditioning, tinted rear windows and automatic headlights. Limited-edition SZ-L cars (there were a few runs of them, in 2013, 2014 and 2016) offers much from the SZ3's equipment list and it's only available with the least economical 1.2-litre engine. The Suzuki Swift Sport has all the features of the SZ4 and adds chunky additions to the bodywork to make the car look more sporting, brighter headlights and big 17in alloy wheels. Owners report few reliability concerns with the Suzuki Swift. They may not be impressed with its build quality, but rarely encounter anything actually going wrong. This meant that it fared consistently well in the Auto Express Driver Power satisfaction survey. The car's warranty is fairly standard for the industry, covering the Swift for the first three years or 60,000 miles, whichever arrives soonest. There’s a reasonable range of used examples of the Swift on the market. Prices start at £5,290 on BuyaCar, with finance prices from £93 per month. . The most common cars are SZ3 variants with the non-Dualjet 1.2-litre engine: if you’re looking for this version – and it's a good option, as there’s a balance of value and equipment contained in them – there’s plenty of choice, with a range of ages, prices and mileages. There are also a fair few SZ-L cars – with trims based on the SZ3 – as well as SZ4 and Sport models. SZ2 cars do exist, and they are relatively inexpensive, so they’re perfect if cheap and cheerful is what you’re in the market for. All Suzuki Swifts have LED lights that are on during the day underneath the main headlights. Suzuki Swift SZ3 and SZ4 models have silver 16in alloy wheels. This SZ4 car also has tinted rear windows as standard. The cheapest Suzuki Swift SZ2 has body-coloured mirrors but only steel wheels with plastic covers. Four-wheel drive versions of the Suzuki Swift have more space between the road and bottom of the car, so they are less likely to be scraped on gravel roads or uneven terrain. The Suzuki Swift Sport has 17in alloy wheels, and plastic strakes underneath the headlights to make it look more of a performance car. Two stainless steel exhaust pipes, chunkier bumpers and a spoiler above the rear screen mark out the Suzuki Swift Sport from the back. The special-edition Suzuki Swift SZ-L comes with 16in black alloy wheels. Like the rest of the Swift range you can get a five-door version or this three-door model. Only the cheapest SZ2 version of the Suzuki Swift has no air conditioning. Cruise control is fitted to all but the SZ2 and SZ3 4x4 cars. Sat-nav and DAB digital radio comes as standard on all but the SZ2 and SZ3 4x4 versions of the Suzuki Swift. Split-fold rear seats allow you to increase luggage capacity of the Suzuki Swift, but the loading area is uneven.